The Department of History offers a broad selection of undergraduate courses, ranging from Roman Antiquity to the present day. Students have an opportunity to take courses that focus on Africa, Asia, Canada, the Caribbean, Europe, Latin America, and the United States. Many of our courses also cut across geographical boundaries by following a particular theme, the social history of alcohol, slavery, the history of sexuality, environmental history, the historical experience of women, digital history, and the development of big business. Many lecture courses in the history department include small discussion groups that allow students to explore the course readings and lectures in depth and to debate ideas with other students and a teaching assistant. Fourth year seminars typically enroll fewer than thirty students. Students work closely with a faculty member on a research topic of their choice using primary sources and they may draw on the rich archival and library resources in Ottawa. Most History courses require formal essays. See our essay writing guide for guidelines and tips for writing History papers. Honours students are eligible to apply to our co-operative education program. A minor in History is also available. Carleton history students are part of a community of scholars. They have the option of joining the History Undergraduate Society which is run by undergraduate students and gives students the opportunity to meet with other like-minded thinkers. The Society organizes a number of events – both academic and social – throughout the year. 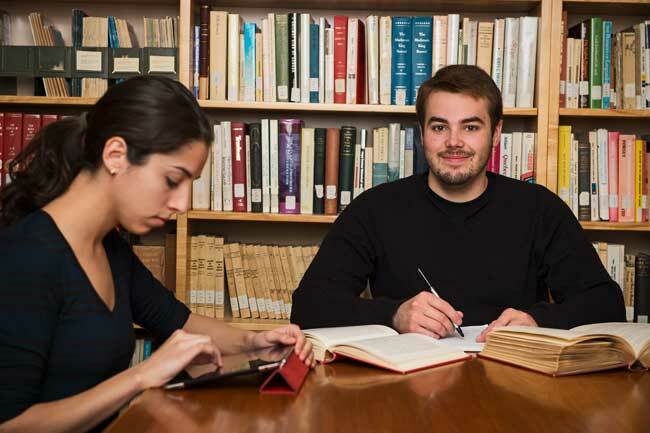 The Department of History offers several ways to study history at the undergraduate level: Students may select a Bachelor of Arts in history (honours) or a combined honours and they may include the cooperative education program. We also offer a Bachelor of Arts in history (general) and a minor in history. Students in the Bachelor of Global and International Studies may take a specialization in history. A complete description of these programs is available in the undergraduate calendar. Students should also consult the summary of degree requirements, which outlines the differences between these programs and provides information on the requirements for those who wish to minor in History. Students at Carleton are encouraged to explore history using a diversity of sources, methodologies and media. Visit our student projects webpage for some examples of their work. Kurtis Montgomery explains how a history degree prepared him for the job market in the video below. Victoria, a fourth year student, describes the hands-on work experience she has acquired in the video below. To learn about applying to study history at Carleton, contact our Undergraduate Supervisor and Undergraduate Administrator or go to Undergraduate Admissions.